If you're going out into a storm, you'll probably grab a raincoat or umbrella. Before spending a day at the beach, you'd be wise to start with a layer of sunblock. It's common knowledge that one of the easiest ways to protect yourself from unwanted elements is placing a protective layer that keeps them out. 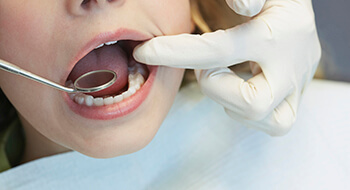 Dental sealants perform a similar function by creating a physical barrier between teeth and the harmful oral bacteria and plaque that can lead to decay. The American Association of Pediatric Dentistry recommends that kids receive dental sealants as soon as their adult teeth erupt. Our Tappan children's dentists agree that this is safe, painless protective measure to keep your child’s smile whole for a lifetime. This simple, preventive measure protects teeth as your child develops an oral hygiene routine, and significantly reduces the risk for decay. 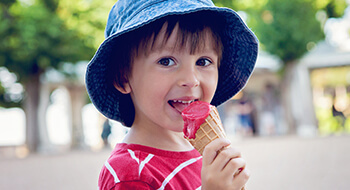 Best of all, with one application, dental sealants can protect your child’s smile for years to come. Ask about dental sealants at your child’s next appointment, or call to schedule an appointment today. Every day, foods and drinks we consume have the potential to damage teeth. Thousands of bacteria are present in the mouth at all times. These bacteria serve an integral role in breaking down food into the nutrients we need to maintain a healthy smile and body. Unfortunately, like all living organisms, bacteria excrete waste. Plaque is the byproduct of bacteria, and it is highly acidic. When plaque is able to accumulate on teeth, the result is dental wear and decay. Over time, plaque hardens into tartar that cannot be removed with regular brushing and flossing alone. 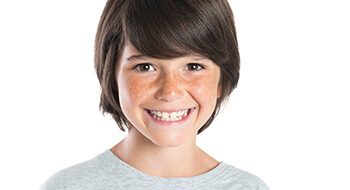 Dental sealants protect your child's smile from the potentially harmful effects of plaque buildup. Dental sealants are made from a clear plastic material. Applied in liquid form, the sealant fills in pits and grooves in the smile where bacteria can accumulate. Once in place, we use a curing light to harden the sealant material. When it's hardened, the plastic is completely clear, making it invisible to the naked eye, but this transparent coating keeps bacteria and plaque away from the surfaces of teeth where they can cause harm.